I have a thing for blueberry muffins. One of my earliest memories is tip-toeing downstairs with my little brother on a weekend morning, and heading into the kitchen to warm up the oversized blueberry muffins laying on the counter. I’m sure my earnest shushing was loud enough to wake any parent, but ours played along, and would wander downstairs, as if by magic, just as we finished setting the table. We would take our seats, in our pajamas, the house still quiet and warm from slumber. I would slice my muffin in half, shake the can of whipped cream, and press down hard, spraying both halves with the frothy white cream. 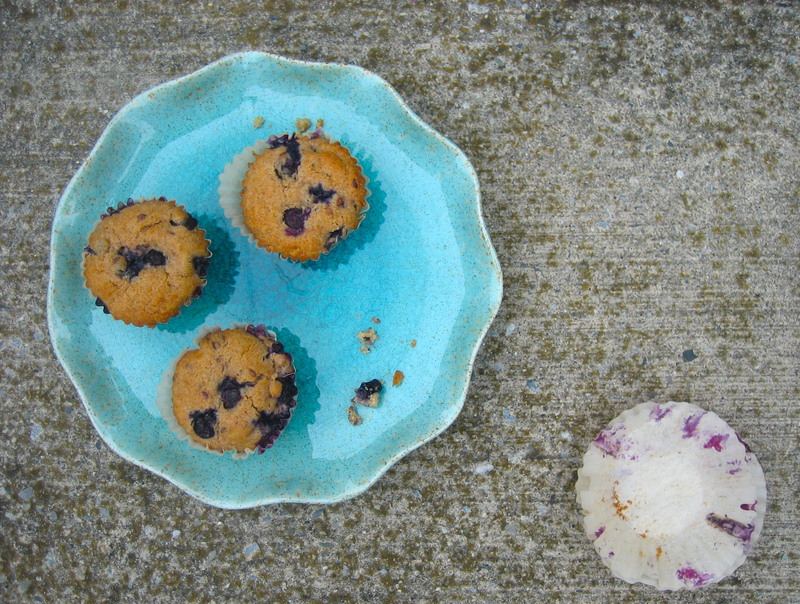 Next came a gentle scattering of fresh blueberries across the top, for good measure, resulting in a bite that was soft at first, like biting into a cold cloud, and then firm with the muffin, and popping with the fresh, juicy berries. My grandmother is still so charmed by this weekend ritual, that when anyone so much as hints at muffins, or breakfast, or L.A. even, she quips, in her best imitation of my mother: “blueberry muffins!” her voice musical with enthusiasm, the way my mother used to call us to the table for these weekend breakfasts. You can almost hear us tumbling out of bed in the distance. This spelt version of my childhood favorite made it’s way into my kitchen via Gwyneth Paltrow’s new cookbook (before you roll your eyes, read this). 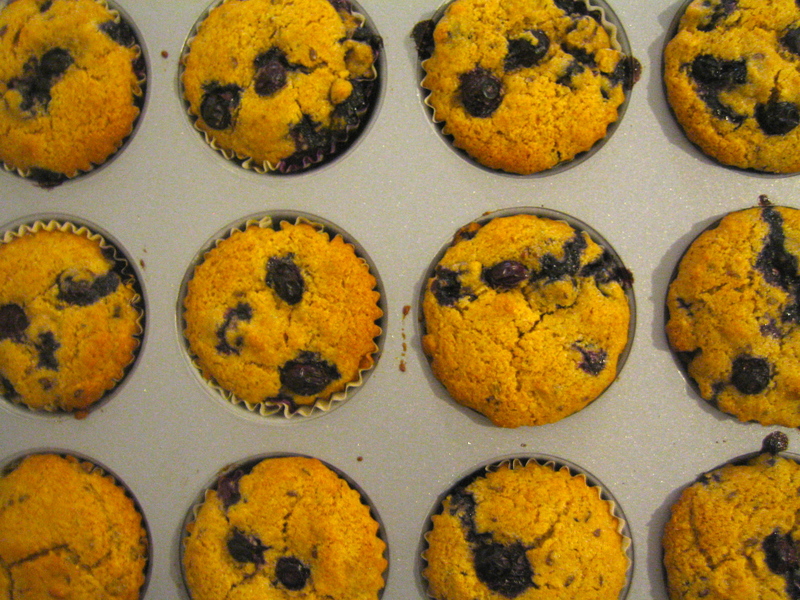 The muffins are absolutely delicious: soft and pillowy, speckled with pockets of blueberries, turned just slightly jammy during their stint in the oven. The flavor of the maple syrup shines though, delicate and mellow. Their tops are cracked and rustic, strewn haphazardly with berries, infusing each bite with their tart juice. This was my first foray into cooking with spelt flour and not only did I love it’s nutty, earthy flavor, I was pleasantly surprised by how light and airy the muffins turned out. These are one of my favorite things I’ve made recently. The fact that they are healthy makes this a win-win situation. That is, unless you’re like me, and end up eating so many that there’s no way they fit in the healthy bracket any longer. In which case, just make sure to have other people around. I’m enamored with every stage of the blueberry muffin’s short life- from the batter which comes together so quickly, to their heated affair with the oven- leaving them golden, and sun-kissed, permeating the house with their delicious, fruity scent. It reaches a crescendo, of course, when you take one in your hand, and peeling away the liner, take that first warm bite, the batter moist, the pockets of blueberry tart and gooey. 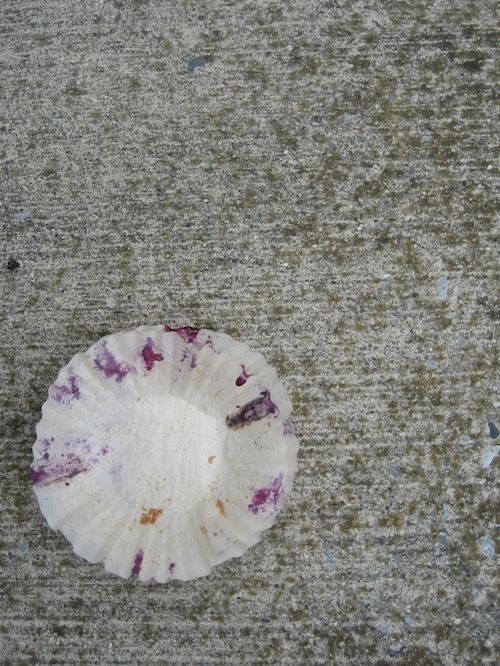 Discarded, the last bite now a memory, they dapple in abstract art; their telltale violet stains splattered on the dainty white liners. Prep time: 15 minutes/ Baking time: 25-30 minutes. 1. Heat oven to 357F/ 190C, and line a 12-cup muffin pan with paper liners. 2. 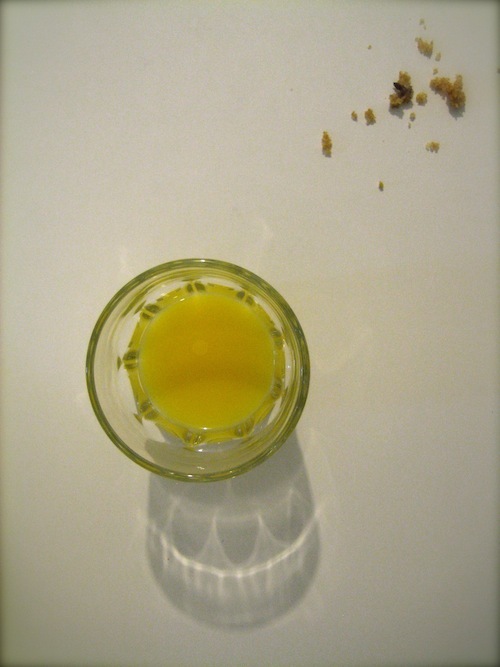 Whisk oil, soy milk or milk and maple syrup in a bowl. 3. Combine flour, baking powder and salt in another bowl. 4. Stir the wet ingredients into the dry ingredient, then gently fold in the blueberries and flaxseeds. 5. Divide batter evenly among muffin cups, and bake until muffins are golden brown, and a knife comes out clean, 25 to 30 minutes. Serve warm. I knew you got this from SELF when I saw you posted about it on 101 Cookbooks Library!!! I actually want this book… I don’t see what people have against Gwyneth. Although not all the recipes they ran in SELF were appealing to me, I like her style. Hi Lisa! So glad you liked them! Which reminds me- I need to make these again soon!